The Stone Barn, believed to be the largest in Iowa, was built in 1889 by quarry owner J.A. Green. It measures 120 x 60 feet and is 30 feet tall. 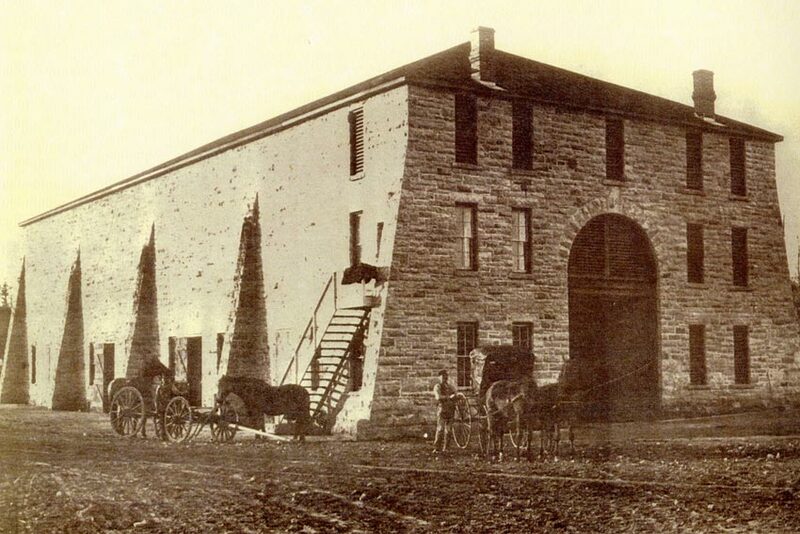 It housed the many horses used to pull quarry equipment and had living quarters for the stable attendants who worked full time caring for horses and harness equipment. It housed its own blacksmith shop. It also stabled Green’s thoroughbred horses. Inside the barn was a well pumped by genuine horsepower; a horse walking on a treadmill. In the 1980’s the Grant Wood Art Festival was held in this unique location. The barn today is a private family residence.